Minimalism, lightness, generous dimensions, and flush-mounted designs are fundamental characteristics of modern architecture. Hidden frames and large open areas connect living spaces to the home’s surrounding nature. 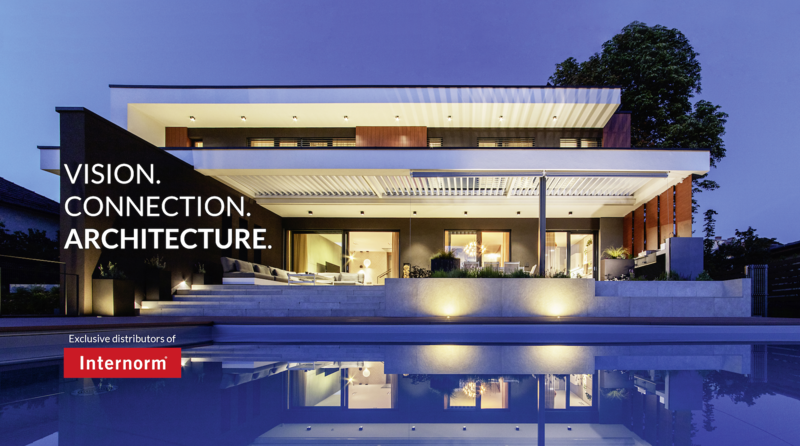 Realize your vision of indoor-outdoor living with our range of UPVC, UPVC – aluminum, and wood – aluminum Lift & Slide Doors, Frameless Windows, and Flush-Mount Windows. Our goal is to offer our clients the most variety in terms of architectural style, while maintaining exceptional quality. Choosing the right materials sets the tone for interior spaces and emphasizes the façade’s architectural design. Frameless windows are ideal for modern spaces, for a minimalist and trendy aesthetic. Large glass areas extend your living space beyond its real borders and create the illusion of unlimited space. Maximum openness can be achieved with frameless windows, fixed glazing, all-glass corners, and generous lift-sliding doors. Triple glazing ensures excellent thermal insulation and toughened glass panes prevent injuries in the event of glass breakage. Large-scale glazing opens up new possibilities for indoor-outdoor living thanks to Internorm’s advanced fabrication. In small batch production, large-scale units up to 12 m wide are produced. Combine our Lift & Slide Doors with Frameless Windows for expansive spaces and open living. The technologically advanced construction connection creates a frameless appearance, making your living spaces appear brighter and creating the illusion of transparency. Other window systems and insulated glass can be used in combination with this window model. Choose from several glass options, including UV protection, glass thickness, glare protection, and much more.